About: Delaware College Investment Plan, a Fidelity-managed 529 plan follows the same approach as other Fidelity plans in Arizona, Massachusetts, and New Hampshire. The Delaware College Investment Plan is a tax-advantaged 529 college savings plan open to both residents and nonresidents. The plan is sponsored by the state of Delaware and managed by Fidelity Investments. Investment Options: Delaware College Investment Plan features three age-based options; one using Fidelity mutual funds; one using Fidelity index mutual funds; and a third multi-firm option with portfolios that invest in funds offered by several different companies. The plans also offer 11 static options, and one option that invests in an interest-bearing deposit account. The plan is sponsored by the state of Delaware and managed by Fidelity Investments. Tax Benefits: Any earnings grow federal and Delaware income tax deferred. Qualified withdrawals are free from federal and Delaware income taxes. State Residency Requirements: No state residency is required to participate in Delaware 529 College Savings Plans. Upromise is a service that helps individuals save money to pay for college or to pay down existing student loan debt. Upromise is a great way to save through partnerships with retailers. Similar to a cash back rewards card, this plan puts rewards from retailers into an account that you can use to save money for school or paying down current Sallie Mae serviced student loans. Once you join Upromise , you simply have to shop at eligible retailers. You can shop online and get anywhere from 1$ to 25% back that is credited to your account. There are more than 600 online retailers, including Target and more, which will give you rewards that can be used for college and tuition expenses. The beauty of the Upromise program is that you save money for college by simply shopping at the normal stores you visit every day. 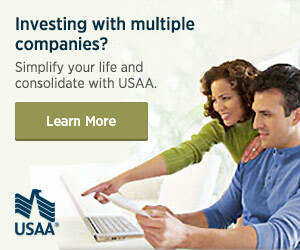 Upromise was created in partnership with Sallie Mae and is designed to help save for education costs.